Should You want to create a website, being a developer or a beginner, it doesn’t matter, You need to purchase a template, the plugins, images packs. You’ll also have to possess coding skills, and there would be no one to help You if something goes wrong. Unless… You’ve got CrocoBlock subscription! The brand new service rolls out this April, and it is a true salvation, offering everything in one place for a really affordable price! Lots of demos on different topics — you’ll be able to find the exact demo to use for Your site, or even create multiple websites on different topics, from business to online store and clinics. 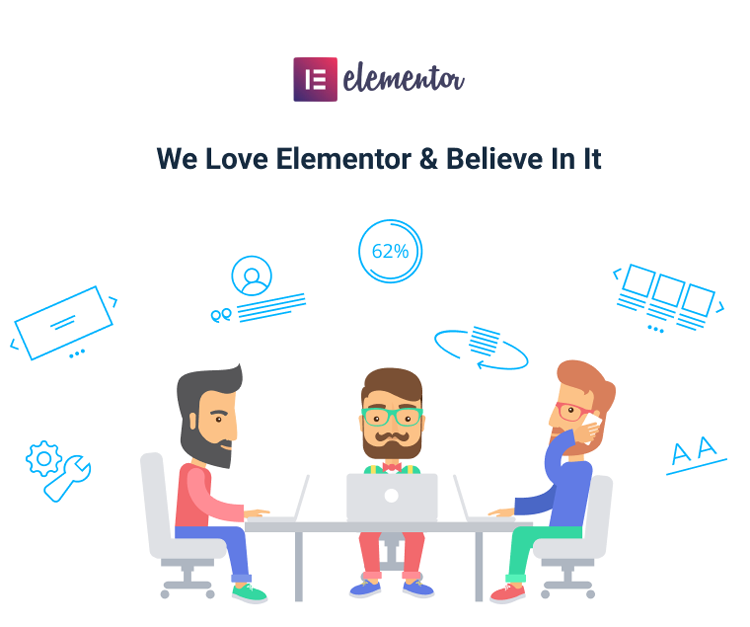 Unlimited usage for all Jet addons for Elementor — here you’ll find JetElements, JetMenu, JetBlog, JetReviews, JetTabs, JetWooBuilder, JetTricks, JetBlocks & JetCoreBuilder plugins that will be of much help for You in creating a superb website, even without any coding knowledge. 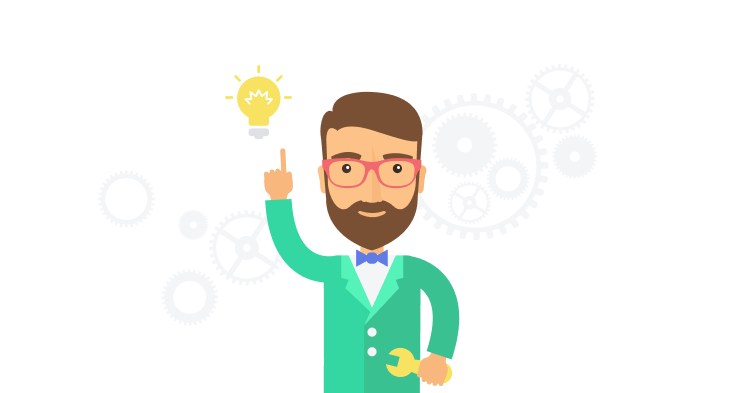 Premium 24/7 lifetime support — whenever you need help, our skilled support team will assist you and make sure everything works properly! The top-notch flagship Kava theme-constructor — the theme makes it easy to build a truly professionally-looking website, with tons of pre-made pages for all purposes, including the blogging pages and shop pages! The theme is perfect for online stores, empowered by WooCommerce. And it is made for Elementor, making it easy for everyone to create unique content in a drag-n-drop way! Pre-designed modular functionality — this feature allows creating content with +500 pre-made blocks, which can be added in few clicks to the page, becoming the building bricks for the website. Header & footer builder — this functionality is invaluable when you’re going for creating headers and footers with any content, layout and style. You’ll also be able to assign the headers and footers to different pages, which makes work on websites super easy. Loads of HQ images for different topics — you’ll be impressed by the great choice of high-quality image packs on lots of topics, all available for downloading and usage! 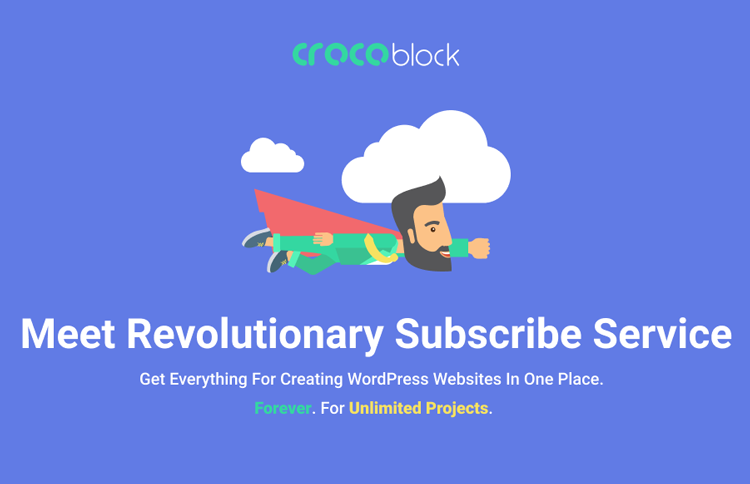 What makes CrocoBlock really special is that it gives an opportunity to use the products mentioned above for an infinite number of sites! And you won’t be limited in how many times You use the theme or the plugins, having the benefits of premium support and updates all the way! The products provided in the CrocoBlock subscription are made with love to Elementor. This means, they immensely expand the powerful Elementor’s functionality, making it possible to do anything concerning website building and creating content without coding! This saves tons of time for developers, and is really convenient for the beginners, who don’t have a clue about coding! Are You a professional web developer or a web studio creating multiple projects? CrocoBlock is just the service to make Your work much easier with loads of plugins and powerful functionality to assist you at every turn! It’s also great for the beginners and hobbyists, allowing to do everything smoothly without ever needing to use coding. You just build websites and create content, styling it up exactly as You need! In the conclusion we want to say that CrocoBlock is an entirely brand new project and it won’t have anything in common with the previous CrocoBlock, the exception is a domain name. But the users that know the previous CrocoBlock service well, will be excited to find out that the service took a step into the future and was practically reborn to become much better, and give even more power to the users, providing excellent solutions for everyone!